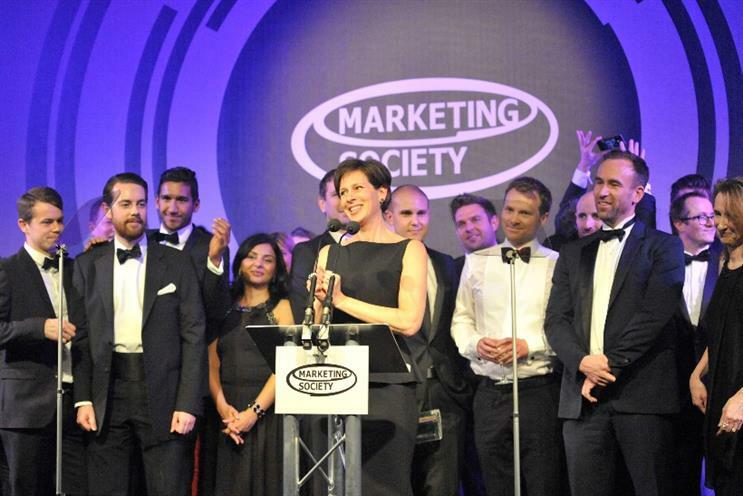 O2 voted as The Marketing Society's Brand of the Year 2015 in association with Marketing and Advertising Week Europe, writes Elen Lewis, editor of The Marketing Society. O2 was voted The Marketing Society's Brand of the Year at its Annual Dinner last night, an award run in partnership with Marketing. Over 900 marketers cast their vote live on the night, selecting the mobile company from a list of four other brands unveiled on the night - Wagamama, British Gas, IBM and Harvey Nichols. Nina Bibby, marketing and consumer director O2 said, "It's been a huge year for us. Thank you to our amazing team, our agency partners and the 7000 people who live the brand every day. It's all about the 4Ps - our people, our pride in the brand, our passion for the brand and our partners in our agencies. That's what this award is all about." Marketing Society members and readers of Marketing selected the shortlist from an original list of 20 brands. O2 joins an illustrious line up of Marketing Society Brands of the Year including Macmillan Cancer Support in 2014, Sainsbury's in 2013 and Procter & Gamble in 2012. "At O2 the brand runs the company, rather than the company running the brand. O2 has been a brilliant brand ever since its launch 13 years ago and this was a well-deserved win," said Hugh Burkitt, CEO of The Marketing Society.